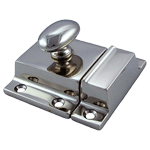 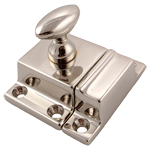 Nickel Plated cast brass bin pull commonly found on type tray drawers. 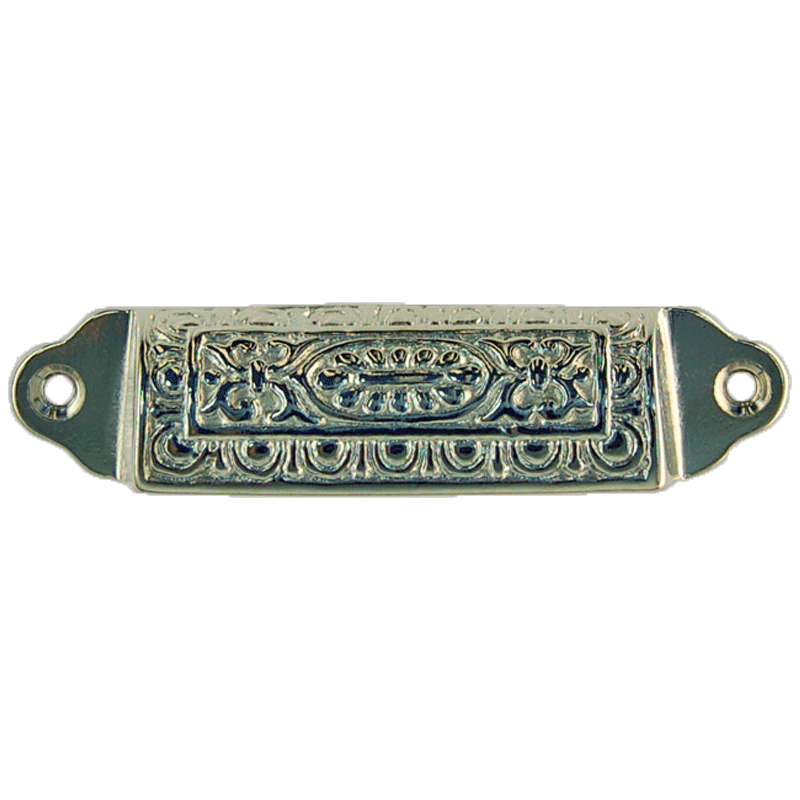 This bin pull is an elegant accent for many cabinets in the kitchen or the bathroom. 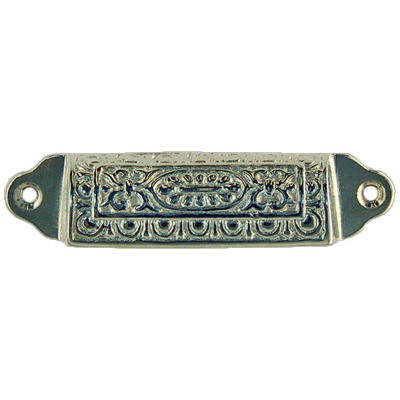 It's 1870's features include a center design surrounded by the classical egg and dart border.